Hi ladies! Ashley here today, bringing you all things monogrammed! This will be a special, summer edition of all the things I would LOVE to carry with me to the beach or lake. Personalized items have always been popular, but now more than ever, are they truly trending. As you can see, you can not only use these as drink holders, but as a sunglass or cell phone holder! Best part...it sticks in the sand so it isn't blowing anywhere! These are perfect for keeping your drink cold! They will keep your ice from melting and is a perfect cup for the beach or lake. I'm loving this burlap kookie! It is light weight and totally Southern. Love! 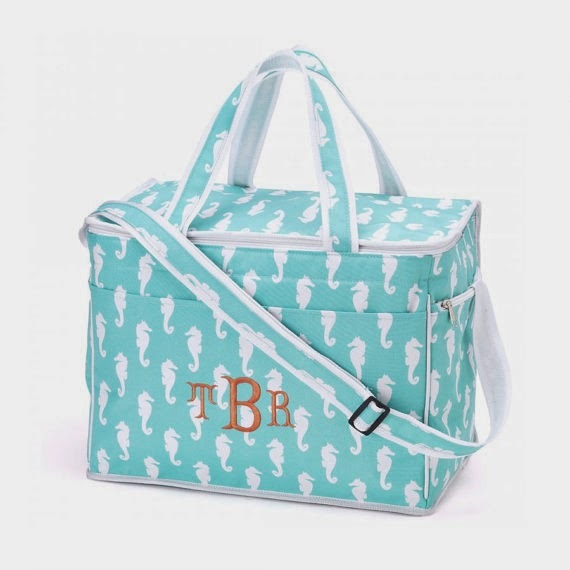 This is the perfect cooler/tote to carry your monogrammed tumbler and koozies in! It goes without saying that you can't go to the beach and not have a floppy hat! It keeps the sun out of your face and is precious! Check out Caroline's here. Going to the beach or lake without sunglasses is not even a question! What's even better than cute sunnies? 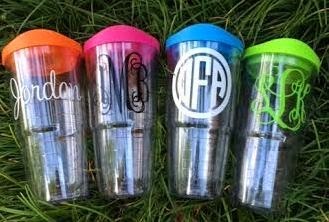 Monogrammed ones! 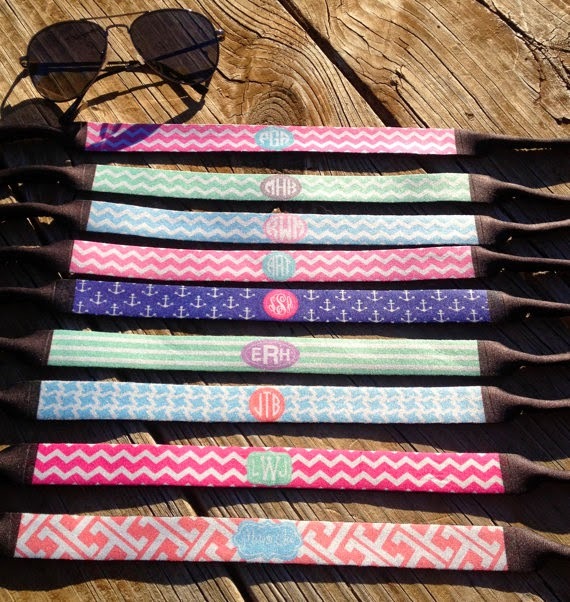 And, of course, what are you going to hang your presh monogrammed sunnies on? Duh. 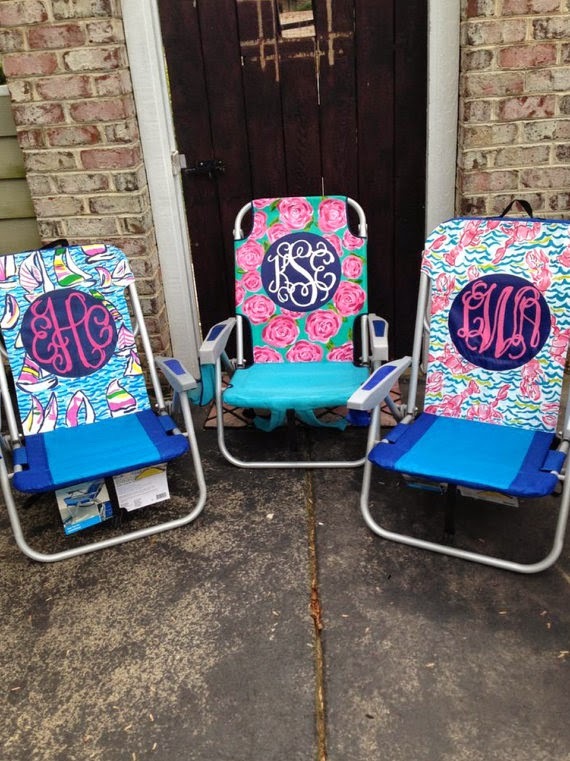 Monogrammed Beach Chair, Lilly Pulitzer Style. I am loving these personalized beach chairs. 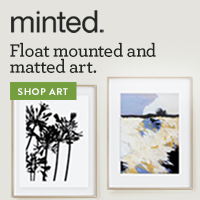 They are the perfect style, and of course, the perfect print! 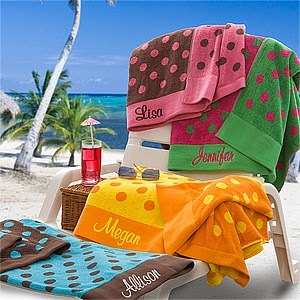 Now that you have a beach chair...you need a monogrammed beach towel! These are heavy duty and extra long so they will definitely do a good job of drying you off! Any sandals will do, but I love my Jack Rogers! Once they are broken in, they are so comfy and more importantly...stylish. The perfect accessory to wear at the beach is definitely this bandeau bathing suit. Offered in several vibrant colors, this is definitely a must-have! You need to have something to cover up with when walking to and from the beach, so what is more perfect than this monogrammed dry fit shirt? It is light weight and long enough to cover your bottom! So, now you have all of these fabulous accessories...but what are you supposed to carry them in? 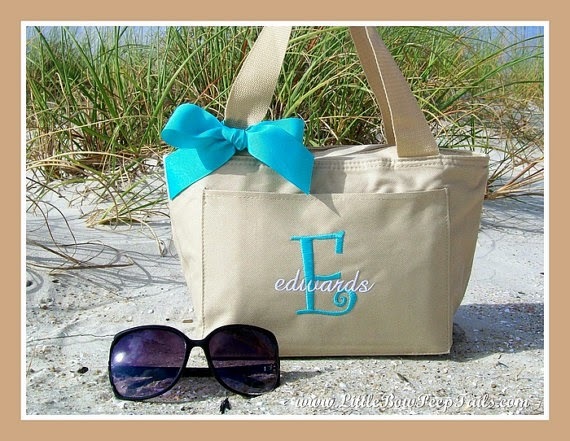 Of course, this monogrammed tote! How cute is this? I hope y'all enjoyed this weeks Trending Tuesday post..be sure to check in with Caroline tomorrow to see what she is "Wanderlusting!" 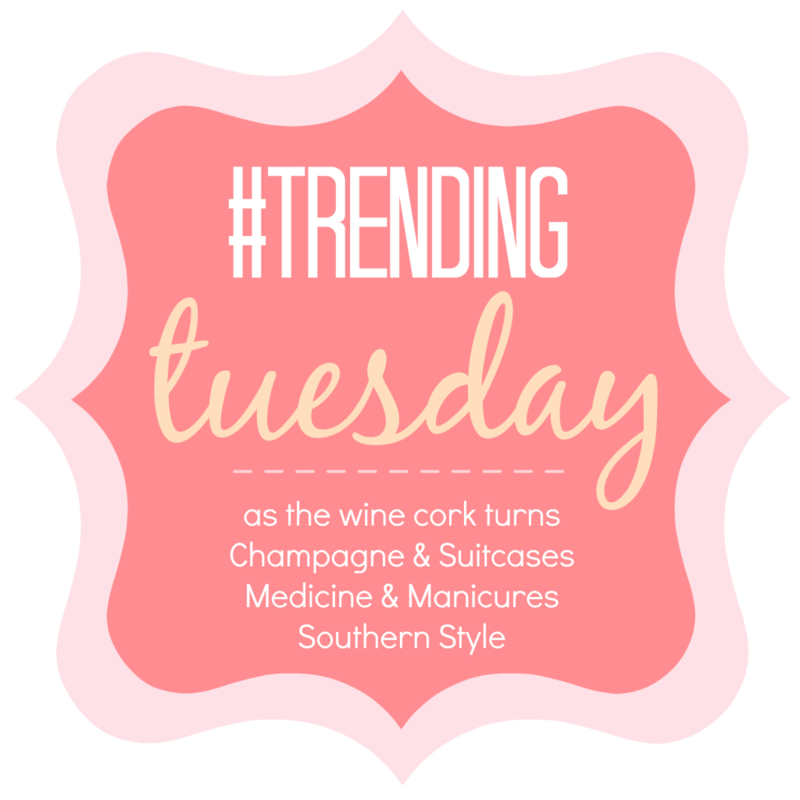 Of course, we are linking up with the fab ladies of Trending Tuesday! Be sure to check out what they are loving! Kristina, Amanda, Katie, and Zelle. It's safe to say that I pretty much love every single thing in this post. 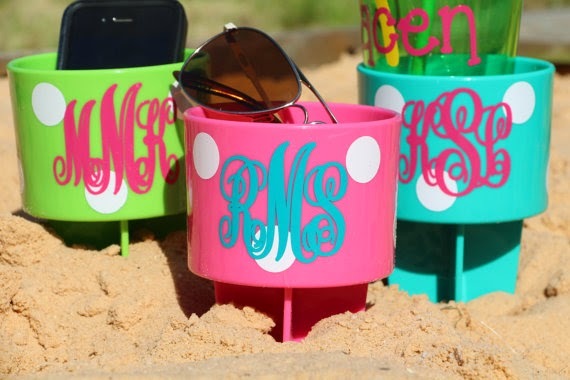 Monograms + beach accessories? Yes please! 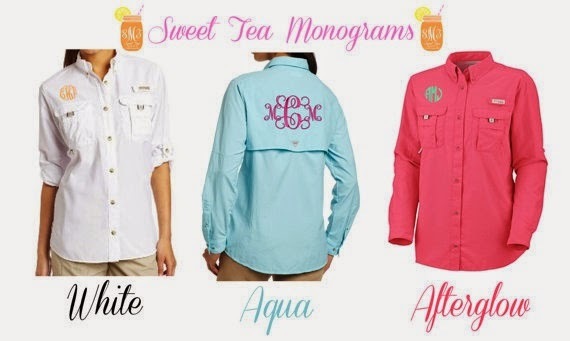 Ah I love how southern and full of monograms this post is! :) I love those drink spikes too! They are awesome! And that cooler, its so cute! Love those sunnies and drink holders! So cute! I love having a monogram now - I never had one before getting married (no middle name!!) but now I say yes to everything with a monogram!! I love those sunglasses and the tumblers! 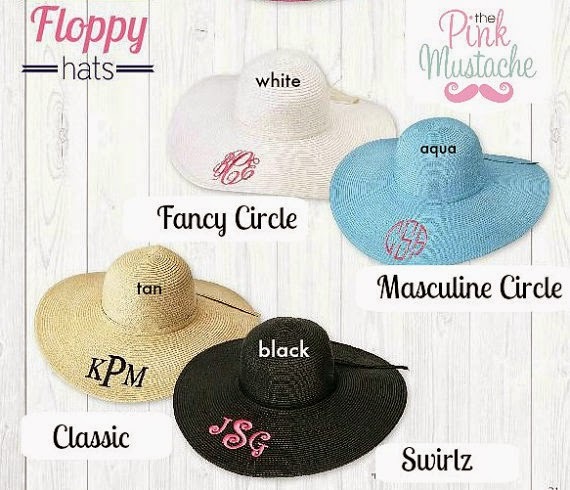 So many cute monogram options! i want one of everything please! how cute is that bikini?! I love the hat and the swimsuit, so cute! Thanks for linking up with us! 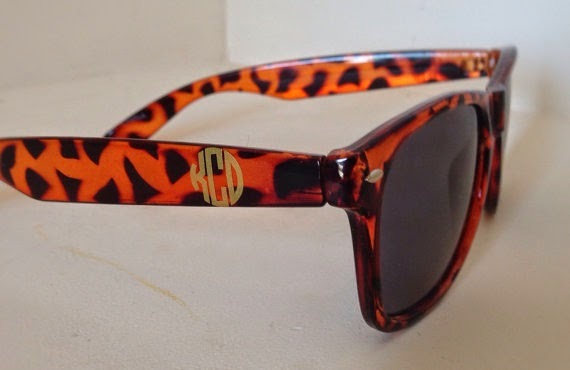 LOVE anything with a monogram! Thanks for linking with us!! Happy #trending! 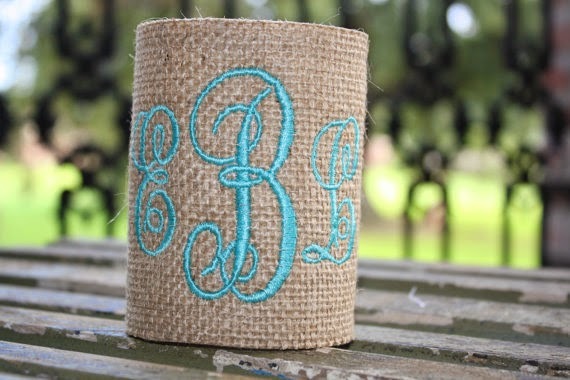 monogrammed burlap. YES YES YES! Thanks for linking up with us! love it!!! Especially the Tervis tumblers and hat!